Protester facing the Venezuelan National Guard during a protest in May 2017. The chair of the parliamentary group on anti-Semitism has criticised Venezuela for not protecting Jews, and called for Labour to “revise our understanding” of the regime there. 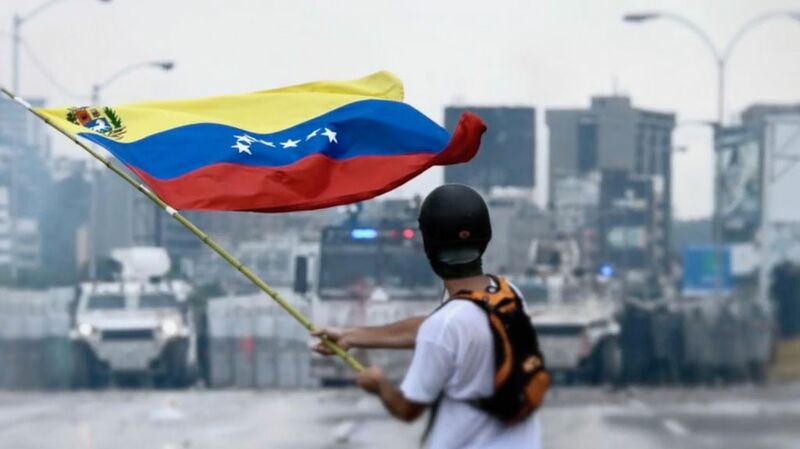 The UK Foreign Office outlined the government would consider backing a global effort to impose sanctions against Venezuela as the country is in “meltdown”. Plunging oil prices and widespread corruption have left the formerly prosperous nation struggling with widespread shortages of food and medicine, which has led to mass civil unrest and political chaos. Minister Sir Alan Duncan criticised the South American country’s president Nicolas Maduro, amid his efforts to assume nearly unlimited powers and the apparent detention of two leading Venezuelan opposition figures. 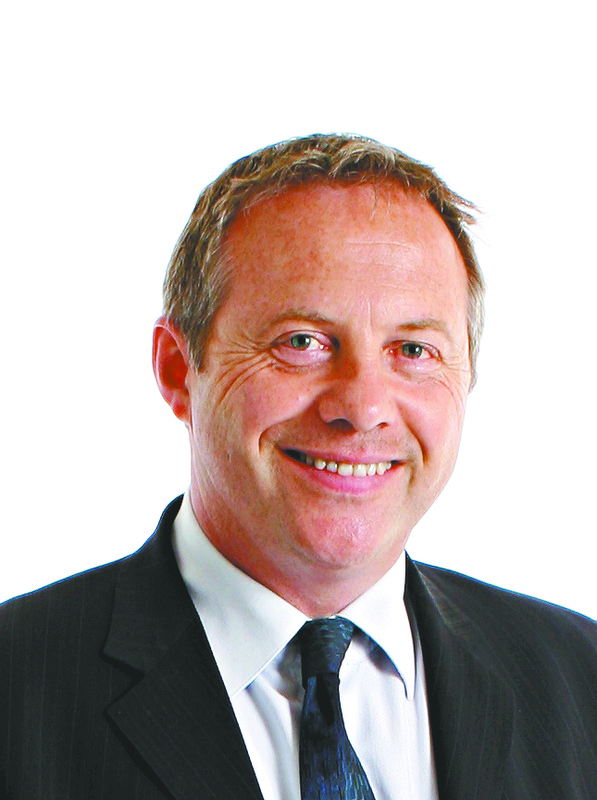 Amid the chaos, Labour MP John Mann, the chair of the All Party Parliamentary Group (APPG) Against Antisemitism, said his party should “condemn the authoritarian regime”. He said: “The government has refused to protect the Jewish community there from anti-Semitic attacks and refused to meet me and other international politicians to discuss this. “Venezuela is a despot regime…, leaving millions living in abject poverty and on the verge of starvation. This comes as Labour leader Jeremy Corbyn was urged by MPs to personally condemn the country’s government, in light of his previous support for it under socialist Hugo Chavez and his successor Nicolas Maduro. 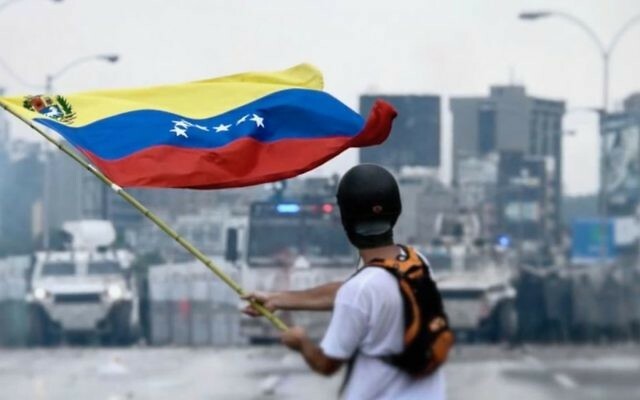 Earlier this week, it was announced that twenty-six Jews from Venezuela immigrated to Israel, fleeing the South American country’s political, social and economic unrest. “The situation is very hard,” Michal Levy, 35, said upon arriving in Israel on Wednesday with her three children. “It’s hard to get basic things like bread and flour,” Levy said, adding that she has been afraid to leave her house due to riots or kidnappings. The new immigrants from Venezuela were brought to Israel by the International Fellowship of Christians and Jews, which funded the cost of airline tickets to Israel and provided each oleh with a gift of £304 ($400) per child and £609 ($800) per adult, on top of the financial aid package that every immigrant is entitled to receive from the Israeli government. By the end of 2017, the Fellowship expects to bring some 100 immigrants from Venezuela to Israel, the organisation said in a statement. “A good day of dialog for peace. Boosting the co-existence and the dialog of civilisations, of religions to consolidate our nation,” Maduro tweeted then.